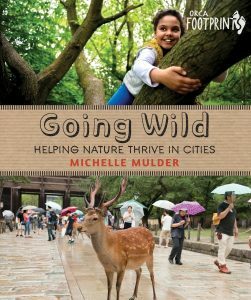 Going Wild: Helping Nature Thrive in Cities: “Going wild.” We don’t see it as a good thing. And why would we? For most of our time on earth, humanity has been running from lions and other wilderness dangers. We’ve worked hard to make our local landscapes as safe and convenient as possible. Sometimes that’s meant paving over areas that might burst into weeds. Other times, we’ve dammed rivers for electricity or irrigation. But now pollution, climate change and disruptions to the water cycle are affecting the world in ways we never anticipated. What if the new key to making our lives safer (and even healthier) is to allow the wilderness back into our cities? In the winter, it’s my kitchen table. Other times of year, I love writing on the enclosed balcony of our apartment. From there, I can see our neighbor’s backyard, which is regularly visited by squirrels, nesting gulls, hawks and even deer. Often, when I’ve finished a project, I feel stuck, as if I’ll never have another good writing idea for as long as I live. I used to try to write through these blocks, but these days, I try to spend time walking along the beach, hiking in a forest or picking berries instead. Once I stop stressing about not having ideas, they usually appear of their own accord. I’ve just read Saints & Misfits by S.K. Ali. It’s about a Muslim teenager in a Canadian high school, and I chose it because I love seeing how people navigate the divide between their personal/family values and those expressed in the culture around them. It was a great read, and I couldn’t put it down. What types of conversations do you hope will come out of Going Wild? When I write a book, I try to present information and then get out of the way so that the readers can form their own opinions about the topic. That being said, I usually find myself presenting information that is very different from the beliefs commonly held (or at least acted upon) in our society. I hope that my books empower readers to delve into what they believe and why, and the more this kind of conversation comes up, the better, I think! 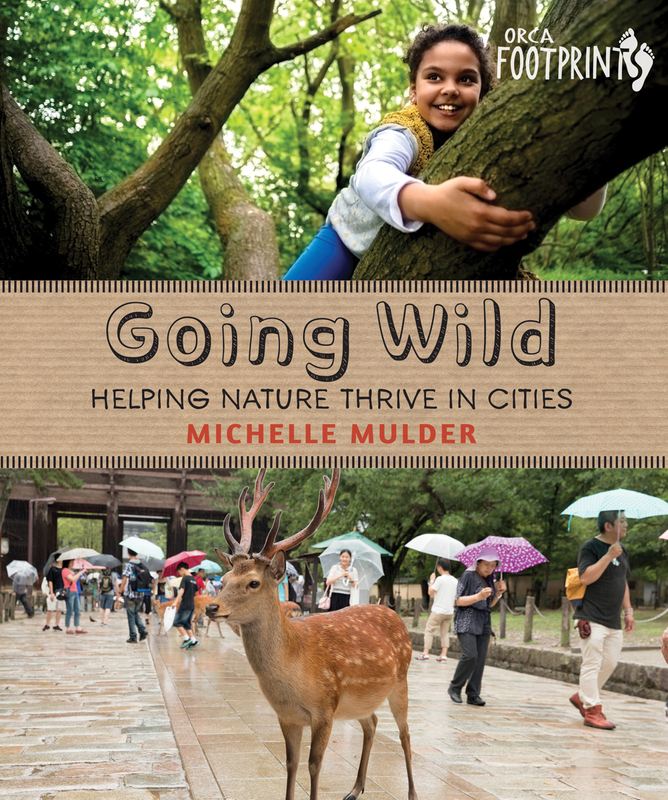 Going Wild: Helping Nature Thrive in Cities is available now! 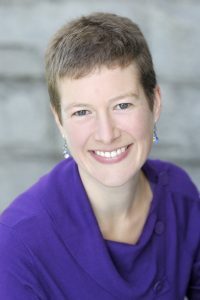 Michelle Mulder is the author of many books for children, including several titles in the Orca Footprints series. These days, when she’s not writing or going on adventures, she enjoys reading, swimming, baking, hiking, and pedaling her bicycle around Victoria, British Columbia, where she lives with her husband and daughter. For more information about Michelle and her books, visit her website michellemulder.com.